Safe: Made from organic cotton and polyester, No printing and dyeing, No chemical treatment. Design: Cotton lining with light padded, warm for spring, autumn and winter, perfect for both indoor and outdoor! Comfortable: Ultra Soft, warm, breathable and comfort for your baby tender skin. Non-Toxic and Eco-Friendly. 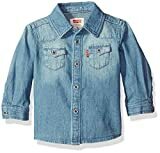 Convenience: Cotton vest soft and lightweight children's clothing, easy to carry, small enough to keep in a disper bag. 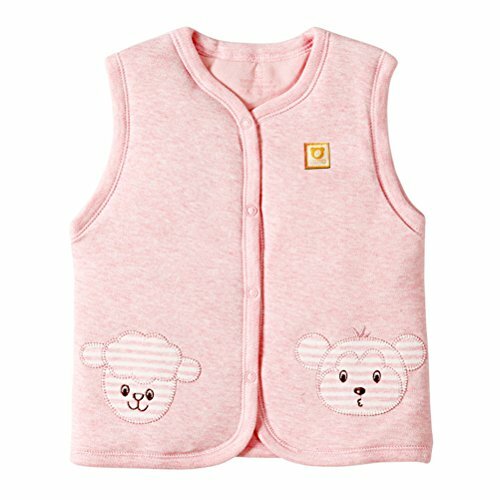 Fashionable: Super cute sleeveless waistcoat, easy snap closure, fashion for your baby, machine wash and dry. Design: Avaiable in both baby boy and girl designs. The simple style with cute cartoon makes kids look lovely and active. Our sleeveless vest are made from cotton and polyester. The most important features are Comfortable, Safety, Durability and Breathable. It can protect your baby tender skin. If you want your kids wear longer time, please choose bigger. Due to manual measurement, there may be 1-2(cm) discrepanc. Artscape Etched ... indow Film 36" x 72"